One way to tell the story of the biblical canon is to begin with a basic point about the available physical evidence. A manuscript refers generally to any text written by hand. The existing manuscript evidence demonstrates the attempt and success of the canon formation process. In other words, we know this process was successful because we have the product of this process in the manuscripts themselves. First, there is evidence of a Hebrew Bible. There is a substantial group of Hebrew manuscripts that consists of the entire Hebrew Bible from the ninth and tenth centuries called the Masoretic Text. There are several Greek manuscripts of all or portions of Old Testament from the fourth and fifth centuries (referred to as the Septuagint); and there is a group of manuscripts of most of the Old Testament books from around the first and second centuries BC (referred to as the Dead Sea Scrolls). These important early texts help demonstrate that the later more complete Masoretic text is remarkably reliable. Second, there is evidence of a New Testament. 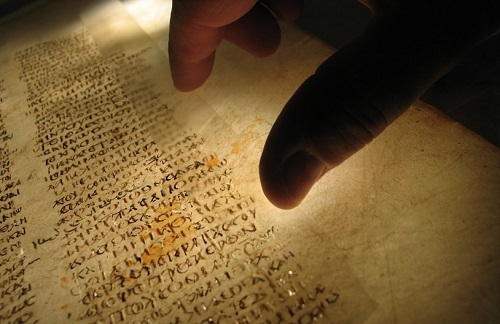 There are several important Greek manuscripts in book form from the fourth and fifth centuries that contain all or most of the New Testament writings (these include Codex Sinaiticus, Codex Alexandrinus, Codex Vaticanus, and Codex Ephraem Rescripti). 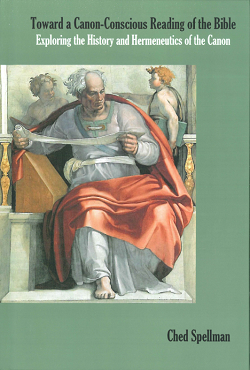 A “codex” is another name for “a paged book,” the ancient precursor to the modern book form. 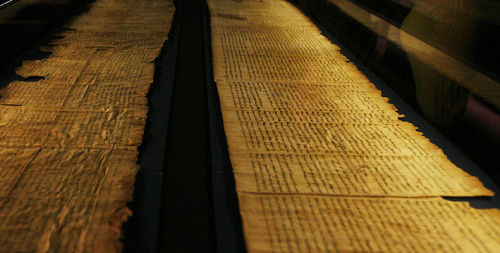 Because of this format, these manuscripts were able to contain large amounts of text. There are also many intact and partial papyrus manuscripts and manuscript fragments that range from the third and fourth centuries and a few that are from the second century. This is a broad summary of the physical evidence for the ancient existence of the biblical canon. These manuscript traditions lie behind contemporary translations of the Bible. So, we can make this very basic assertion with some measure of confidence: In the existing manuscripts that represent full editions of the OT and NT collections, there is enough similarity to argue for an early attempt to pull together a Christian canon. Our account at this point poses a logical question: How did this collection come about? Was this “canon of Scripture” an accident or was it intended? At this point, we can borrow a basic insight from the argument from design. Think about Stonehenge, a group of large stones in a remote countryside field in England. When you come across these stones, you immediately notice that they seem to have been gathered here and ordered in a particular way. You might not be able to discern the exact reason behind each stone’s placement, but you get an undeniable sense when you look at these stones that this display is an ancient arrangement rather than an ancient accident. Seeing the rock-hard evidence before us, we intuitively seek to discern meaning from its sequence and immediately ponder its origin. In a similar way, if you came across a fourth century Greek manuscript in book form that contained a sequence of individual texts, you might logically ask the question, Is this a literary accident, or was this collection intelligently designed? Recognizing the time, effort, and resources required to produce a large codex in the ancient world, we might rightly conclude that these texts were somehow set apart by a particular community and that these texts were somehow related to one another. Here, we’re shifting form the “what” question to the “why” question.